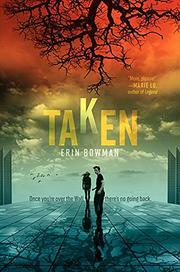 Debut author Bowman takes readers on a suspenseful trek through a dystopian landscape. Gray has reached the age of 17 in a primitive town that’s defined by what happens to boys on their 18th birthdays: They are Heisted away, never to return. Gray is frustrated by the community’s calm, resigned acceptance of the boys’ shocking fate, so after his brother Blaine’s Heist, he determines to go over the massive wall that contains the town to search for the explanation for their grim existence. Unexpectedly, his almost-a-girlfriend Emma follows him. On the other side of the wall, they are both captured—or possibly befriended—by the Franconian Order, which runs the modern, water-starved city of Taem. The story they are told is quickly contradicted by other information they discover, leading to the pressing need to identify possible helpers who might oppose the brutal followers of Frank or the rebels (including attractive Bree) who operate outside the city. The story is told in Gray’s first-person narration, with occasional conveniently found documents to supplement back story that he can’t provide. While suspense is often palpable, other times, plot elements don’t fully add up—the Heists are conducted with helicopters (that no one sees because they’ve been drugged), and Emma remains safe but unfaithful in Taem after Gray escapes—diminishing the impact for discerning readers.